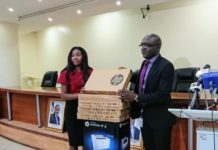 Despite achieving the target of 30 percent broadband penetration by end of 2018, the Nigerian Communications Commission (NCC) recently held a stakeholder consultative forum on Television White Spaces (TVWS) as part of its efforts to expand the geography of access to broadband Internet in Nigeria’s rural areas. 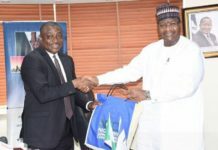 The Executive Vice Chairman and Chief Executive of NCC, Prof. Umar Danbatta, who spoke through the Commission’s Director of Spectrum Administration, Austin Nwalunne, at the consultative forum on rural connectivity using TVWS, held at Barcelona Hotel, Abuja, said NCC is exploring this seminal phenomenon because of its awareness of the enormous opportunities of TVWS as an alternative mode of spectrum utilization. Television White Spaces are the unused portions of the television broadcast spectrum that can be deployed for telecommunication services. 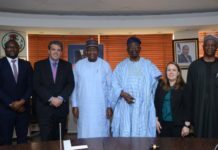 “Its opportunities range from coverage capabilities as well as efficient and effective utilization of the unused broadcasting spectrum”, Danbatta told the participants at the forum also attended by the Minister of Communications, Honourable Adebayo Shittu, and the President of Association of Telecommunications Companies of Nigeria (ATCON), Mr. Olu Teniola. 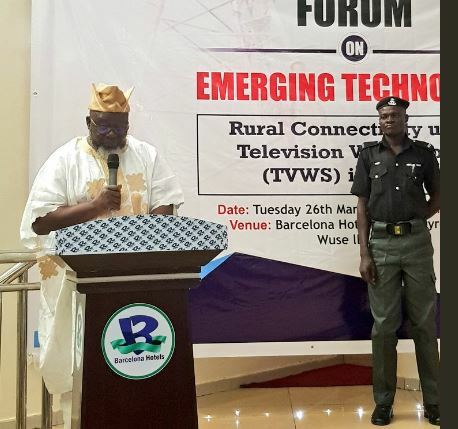 According to Danbatta, the opportunities inherent in the TVWS explain why the Commission decided to call on all relevant stakeholders to make inputs that would be considered in developing a regulatory framework for TVWS especially to bridge the digital divide. Danbatta recalled other initiatives of NCC designed to promote rural connectivity. Among these are: The Universal Service Provision Fund (USPF) interventions through subsidy to to expand the frontiers of connectivity especially in unserved and underserved areas; Review of Roll-out-Obligations of operators to cover rural areas; Approval for the deployment of different rural connectivity solutions, such as the use of 800 MHz Spectrum for backhauling, as well as for access; Stimulating uptake of services in rural areas through bandwidth provisioning in schools and rural community centres; Engaging government at state levels to eliminates multiple taxation and the harmonization of Right of Way charges.